At the 2018 Pack Expo show, Agr International, Inc. will feature its latest developments for managing the production and quality of plastic and glass containers. Featured at this year’s show will be Agr’s Process Pilot® blowmolder management system. The system is designed to simplify the production of PET bottles in 3 easy steps: 1. Measure; 2. Control; 3. Optimize. 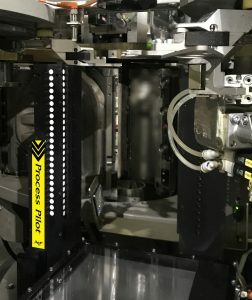 The Process Pilot offers precise material distribution management and hands-off control of blowmolder parameters as well as manufacturers alternatives to optimize their processes in the way that is best for their production. The latest version of this system offers expanded measurement capability with the means to accurately measure material thickness as thin as 0.001 in (0.025 mm). This capability makes it possible for bottle manufacturers to produce bottles with less material and thinner sidewalls while still maintaining desired quality and performance characteristics. For glass container producers, Agr will feature its latest developments in precise dimensional, thickness and coating measurement. The equipment can be used in the lab or on the plant floor to help manufacturers ensure high quality container production. Agr International staff will be on hand at Pack Expo 2018, Booth E-8238 to their complete line quality management products designed to assist container producers, converters and fillers stay competitive while meeting the increased quality demands of today’s changing world.